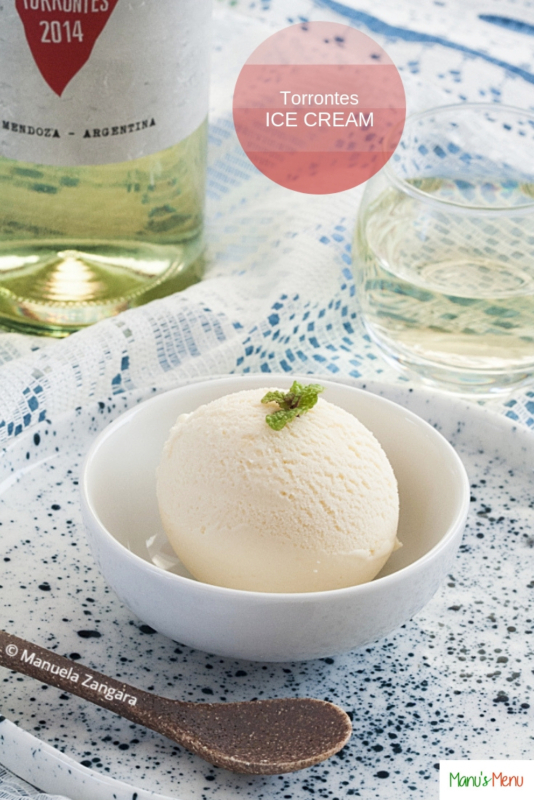 I am so happy to be able to share the recipe for Torrontes Ice Cream on the blog. Torrontes is a white wine quality, typical from the north of Argentina. 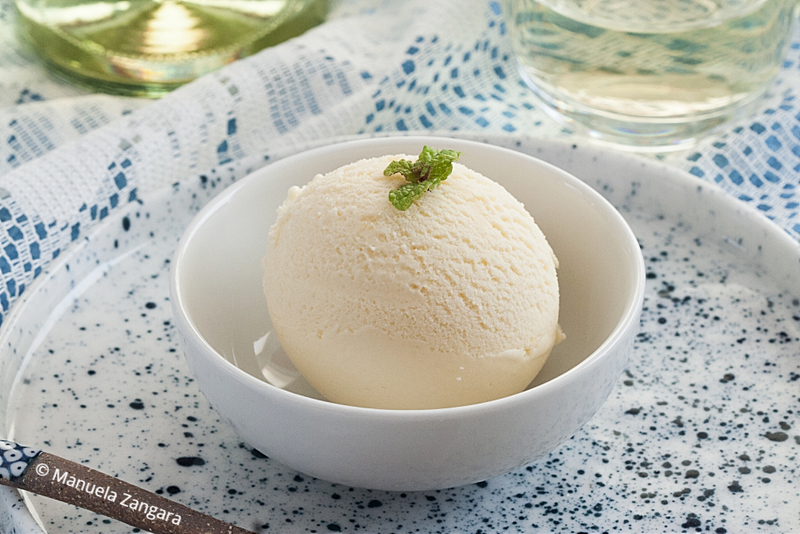 So, yes… it’s white wine ice cream! And it tastes amazing! I tried it for the first time at the hotel we were staying at in Cafayate during our recent trip to Chile and Argentina, and I immediately fell in love with it. 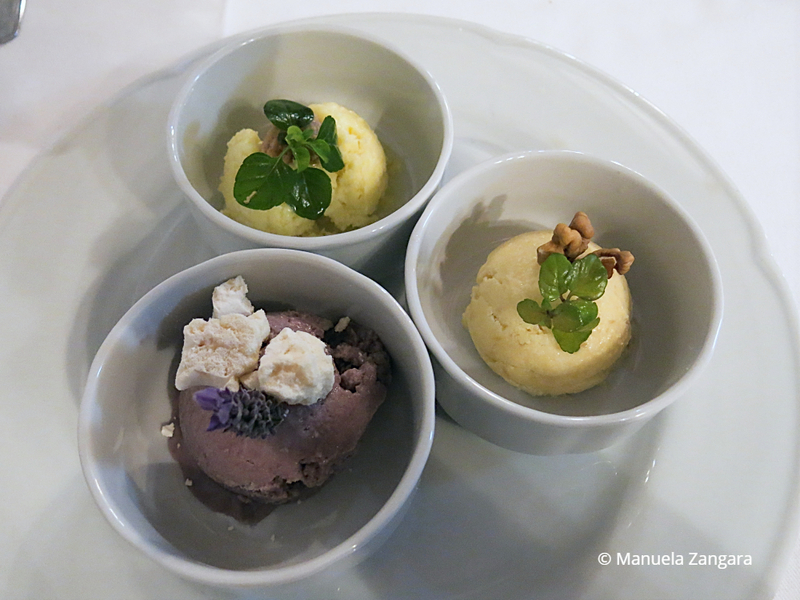 They served it as part of a trio of ice cream flavours: Cayote (a kind of local pumpkin), Malbec (red wine – click here for the recipe), and Torrontes. Luckily, the chef told me what ingredients he uses to make the ice cream, so after a couple of attempts, I was able to reproduce it at home. I was only able to find a Torrontes from the Mendoza area of Argentina, but if you can find it, do use one from the Cafayate/Valles Calchaquies area… they are probably not as “famous” outside of Argentina, but I really like their taste more. Also, make sure to use a good quality wine or you will taste it in the final ice cream. 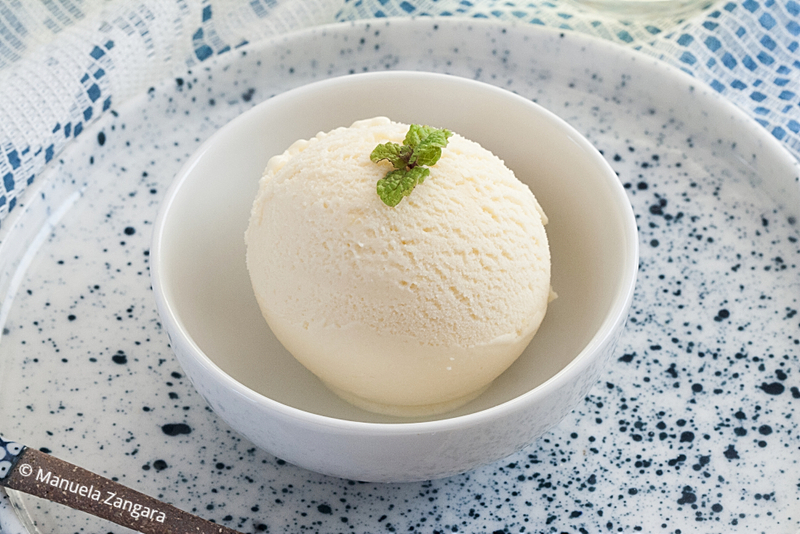 This Torrontes ice cream is very creamy, as it is a “real” ice cream, made with a dairy base, and not a sorbet. You won’t taste the alcohol, as the wine is reduced into a syrup and the alcohol evaporates while cooking. 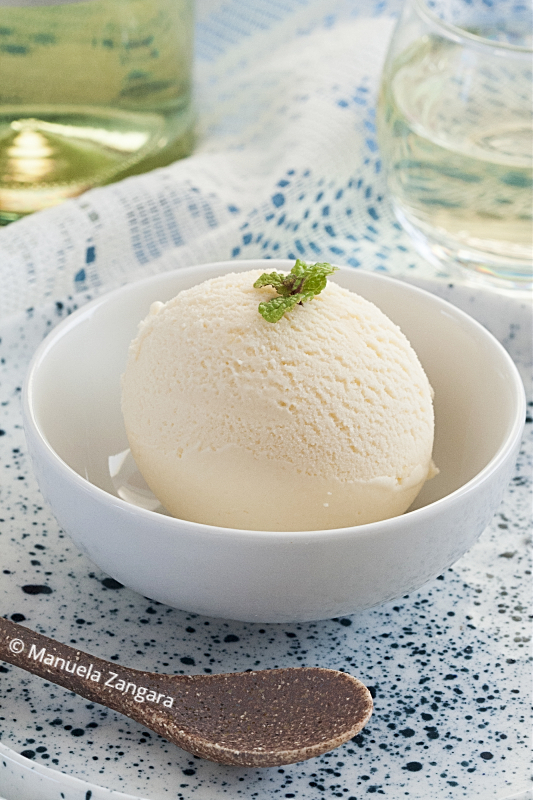 The final result is a deliciously creamy ice cream with a fruity and refreshing flavour. Serve it with crumbled meringues for some crunch. Don’t forget to check out my video recipe and to leave a comment to let me know how you like it! 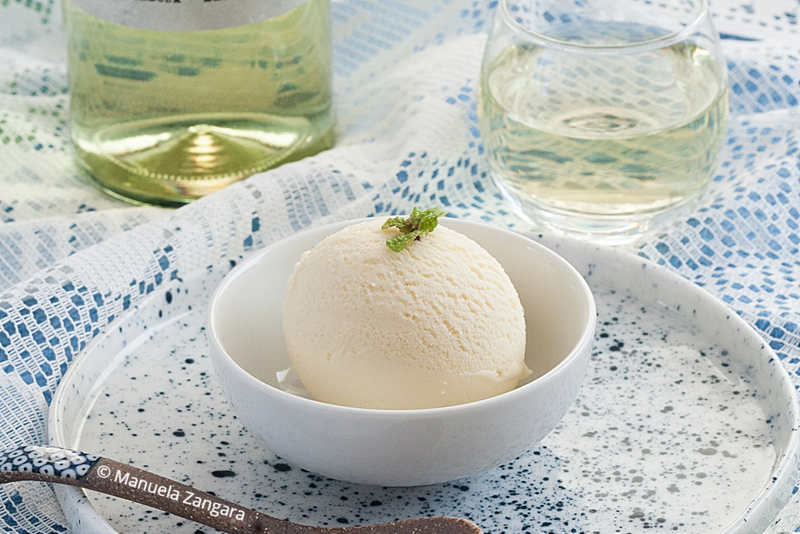 Torrontes Ice Cream – a silky, creamy, delicious and somewhat uncommon ice cream made with white wine, typical of the North West of Argentina. In a shallow pot, heat up the Torrontes wine. Bring to a boil, then simmer until it reduces to 150 ml – 2/3 cup. 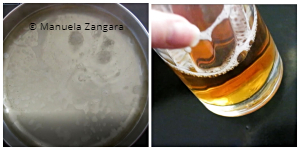 Transfer to a jug/glass and let it cool down, then refrigerate until completely chilled. In another pot, heat up the milk and heavy cream. Do not boil. In the meantime, beat the egg yolks with the sugar until white and creamy. 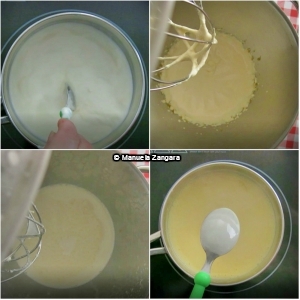 While still beating, slowly add the warm milk/cream mixture. 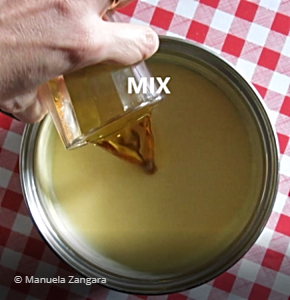 Transfer this mixture to a pot and cook until it slightly thickens (the cream has to coat the spoon). Let it cool down, then refrigerate until completely chilled. When both the cream and wine syrup are cold, mix them together. Churn this mixture in your ice cream maker according to the manufacturer’s instructions. Put it in the freezer for at least 3 hours before serving. 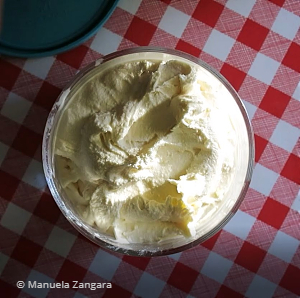 Make sure to use a good Torrontes for this ice cream. If you use a cheap one, your ice cream will not taste as good. 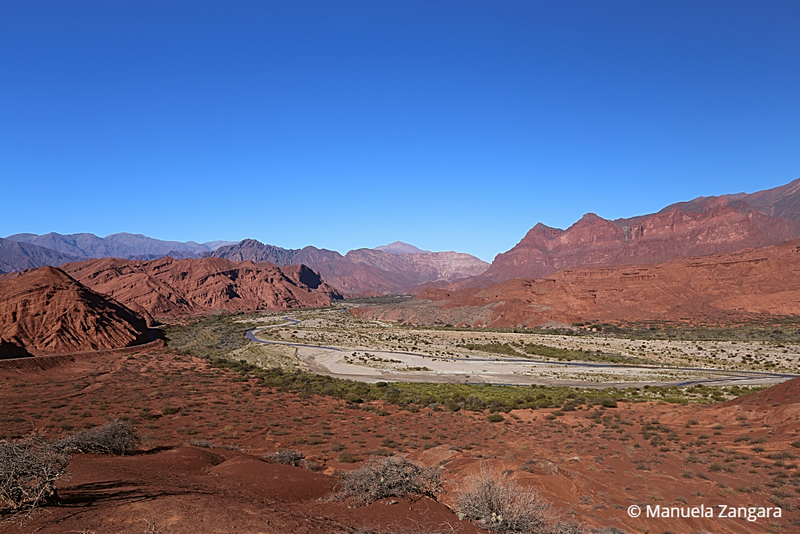 If you are lucky enough to find it, use a Malbec from the Cafayate/Valles Calchaquies area. I could only find one from Mendoza. 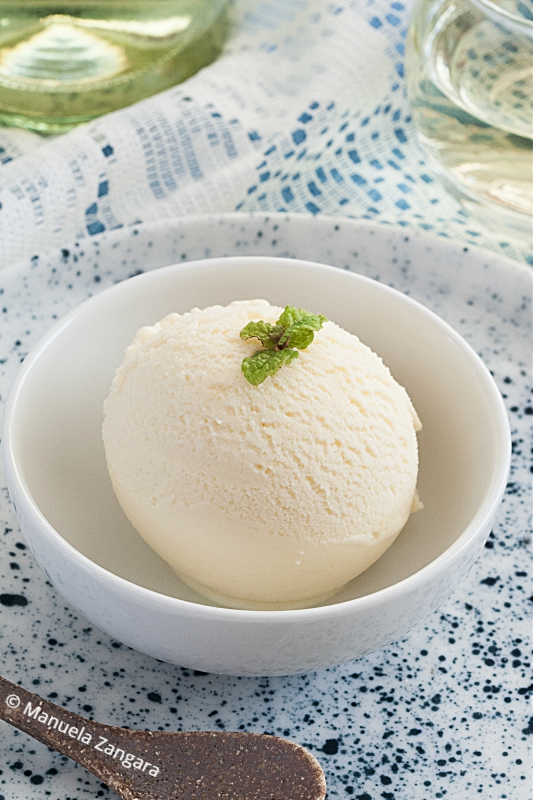 I made this ice cream using lactose-free milk and cream, so I was able to enjoy it too, but you can use regular dairy. I was on a searched for Ice cream recipe and there you came. Great! This looks so simple yet elegant. I’ll definitely try this out.